The Myanmar energy market started legal reform in 2011, when the country first opened up to foreign investment after decades of isolation. The recent optimism in Myanmar's economy is largely attributed to its abundant untapped resources, particularly oil, hydropower and natural gas. Presently, Myanmar's energy sector accounts for more than half of its export earnings and foreign direct investment. On 15 January 2018, in Myanmar's parliament, the Deputy Minister for the Ministry of Electricity and Energy (MOEE), Dr Tun Naing, announced that the MOEE has committed to provide an additional 3,600MW in Myanmar within the next four years. The MOEE announcement is attributed to an expert ministerial report indicating that the consumption of electricity in Myanmar is expected to increase to 5,774MW by 2022 from the present rate of 3,189MW. Demand for electricity in Myanmar has progressively increased since 2012.
purchasing additional power from neighbouring countries in China, Laos and India. The MOEE 2018 announcement is a great win for Myanmar citizens and both local and foreign sponsors, as presently poor infrastructure impedes the economic development of Myanmar. Currently, 84 per cent of households in rural Myanmar have no electricity; only 30 per cent of the entire Myanmar population is connected to the electricity grid; and the average annual per capita electricity consumption is 160kWh (5 per cent of the world average). Strengthening Myanmar's energy sector is crucial to reducing poverty and enhancing development prospects for the country. Social and economic progress in Myanmar depends on electrification, without which health, education and other key services will continue to suffer. Recently, foreign investment has been liberalised by the Myanmar government for the importation, storage and distribution of petroleum products into Myanmar, with the promulgation of the Petroleum and Petroleum Products Law 2017. A new government of the Republic of the Union of Myanmar (the Union Government) started on 1 April 2016, ending over 50 years of control by the military, most recently under the Union Solidarity and Development Party (USDP) led by President U Thein Sein. The new government of Myanmar is led by the National League for Democracy (NLD). The NLD is led by Daw Aung San Suu Kyi; however, she is constitutionally barred from holding the office of President because her children are British citizens. She is currently holding the newly created position of State Counsellor. The Presidency is currently held by U Win Myint. Prior to the end of the USDP reign over Myanmar (in the period from December 2015 to January 2016), over 35 new laws were passed by the USDP. These new laws passed by the USDP included the new Arbitration Law (Union Law No. 5/2016; the 2016 Arbitration Act) enacted on 5 January 2016, which provides a domestic legal framework to fully implement and comply with the New York Convention on the Recognition and Enforcement of Foreign Arbitral Awards of 1958 (the New York Convention), which Myanmar signed and ratified in 2013. In stark contrast, the NLD government has passed very little new legislation since taking office in April 2016, although the President's Office has made positive steps to combat bribery and corruption in Myanmar through issuance of new guidelines for the acceptance of gifts by public servants. That said, there have been other sweeping changes inside the Union Government since the NLD assumed control from the USDP, including a complete reorganisation of the prior 36 Union Government ministries, reducing the overall number to 21, either by consolidation or elimination. The Ministry of Energy (MOE) and Ministry of Electric Power (MOEP) have recently been consolidated into the new MOEE. Although it is difficult to predict how the NLD will manage the MOEE portfolio, we remain optimistic. There are presently no sanctions in force against Myanmar (save for arms embargoes) from the European Union, United Kingdom or Australia. On 7 October 2016, US President Obama issued an Executive Order (EO) on the Termination of Emergency with Respect to the Actions and Policies of the Government of Burma (the October EO), thereby terminating the national emergency declared in EO13047 of 20 May 1997 with respect to Myanmar and revoking the EOs previously issued to sanction Myanmar. it removes the requirement to comply with the State Department Responsible Investing Reporting Requirements. This is now voluntary. Based on relevant Myanmar experience, that the process is more transparent and efficient than in some regional ASEAN countries; however, significant regulatory reform is still required to bring Myanmar's power sector to the standard of more developed jurisdictions such as Japan and Australia. Under the state-owned Economic Enterprises Law of 1989 (the SOE Law), the Union Government has the sole right to carry out power generating services and is also empowered to grant exemptions. With the consolidation of the new MOEE, Myanmar's power sector remains regulated by a state-owned buyer model, with two key offtaking government entities, detailed below. the Electric Power Generation Enterprise (EPGE) (formerly the Myanmar Electric Power Enterprise (MEPE) alongside the Department of Electric Power (DEP)). EPGE operates and plans the Myanmar National Grid System, buys electricity from both public and private producers and then onsells the electricity to distributors. The Yangon Electricity Supply Board and other regional and state electricity supply boards assist the EPGE in the purchase and distribution of power. The Hydropower Generation Enterprise (HPGE) alongside the Department of Hydropower Planning and the Department of Hydropower Implementation. The HPGE operates and maintains large-scale hydroelectric facilities for the public sector. in March 2016, following the reorganisation of the Union Government's ministries and departments, the MEPE was reformed as the EPGE. The legal system in Myanmar is based on English Common Law. Myanmar legislation includes 13 volumes of codified laws enacted from 1841 to 1954 and published in the Burma Code, as well as various other laws, notifications, rules and regulations passed from time to time. However, the current legal framework poses significant challenges for foreign investors as many laws are presently outdated and remain untested in the courts, providing little case law and guidance to both investors and lawyers on the ground. the Vacant, Fallow and Virgin Lands Management Law 2012. The above laws are not an exhaustive list of all relevant legislation. 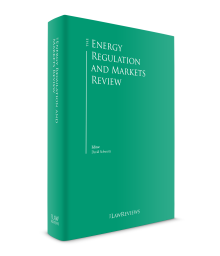 Additional local legislation, regulations and customary practice may be relevant depending on the source fuel, project location and project complexity. The government understands the need for facilitating transparent procurement processes in order to instil confidence both domestically and internationally to the business community and, of equal importance, to attract local and foreign investment in support of the government's rapid energy reform initiatives for Myanmar. Since 2013, via Presidential Directive No. 1/2013 titled 'Regulations to be abided by when issuing tenders for investment and economic activities' (the Tender Directive), government departments and ministries are required to hold public tenders for goods, major works, and services that they may require. The Tender Directive is the only guiding authority in Myanmar on procurement, and is often criticised because it is not actual law but only a Directive. Generally speaking, at present the Tender Directive in Myanmar is local and does not follow international standards. The Tender Directive, while lacking substance, does set out the premise to be followed by the government departments, ministries, and state-owned enterprises, including the establishment of procurement or tendering committees, open invitation to tender, and public announcement of tenders. On 10 April 2017, the Union Government issued new Notification No. 1/2017 introducing a new tender procedure (the Tender Procedure) in order to 'eliminate waste of the State's fund, corruption and monopolizing tender' and to 'ensure just and fair competition, transparency, accountability and responsibility.' The Tender Procedure provides the threshold for launching a tender for construction or procurement of goods and services valued at 10 million Burmese kyat. Importantly, irrespective of the fact that the participation eligibility for foreigners is not clear, foreign companies without any presence in Myanmar may participate in the tender subject to the absolute discretion of the relevant department. In the event of a bid award to a foreign company, a subsidiary is required for the purpose of execution of contract with the relevant government department. Currently, Myanmar has no specific PPP laws or regulatory framework dealing with the procurement of large-scale power projects or PPP projects. Pursuant to the Tender Procedure, specific tender procedures for PPP projects may vary depending on the nature of the bid. The MIL provides a basic framework for private foreign investors to obtain an investment permit and project approval. However, the MIL does not deal with tendering- and procurement-related issues in any detail. Any investor seeking to develop a self-proposed project will face difficulty, as this is uncommon in Myanmar. tax incentives. Income tax holidays are potentially available for foreign sponsors for periods of three, five or seven years, subject to MIC discretion and what zone the project is located in. Zone 1 includes the least developed areas of Myanmar excluding Yangon and Nay Pyi Taw; Zone 2 (moderate) includes more developed zones, but still excludes Yangon and includes Nay Pyi Taw; and Zone 3 (developed zones) includes Yangon and Mandalay. The income tax holidays are inclusive of the year the project company begins operations. exemption or relief from commercial tax on any goods produced for export. the net profit after deducting all taxes and reserve funds by the party who brought in the foreign capital. Foreign currency permitted for withdrawal includes the value of assets on the winding-up of a business, subject to MIC approval. A foreign-owned company (i.e., sponsor) without an MIC Permit or Endorsement (as specified below) is only allowed to enter into a lease agreement not exceeding one year. With an MIC Permit or Endorsement (as specified below), a foreign sponsor may be permitted to lease or use land for an initial period of up to 50 years, which may be extended for two further periods of 10 years each. A foreign sponsor intending to make a small-scale power investment (having investment capital of less than US$5 million) who desires a long-term lease right for a period exceeding one year may apply for an Endorsement from the MIC. If the investor's investment capital exceeds US$5 million it must instead apply for an MIC Permit, as it will unlikely be eligible for an Endorsement. It is not industry practice in Myanmar, nor is it recommended for a foreign sponsor, to only obtain an Endorsement to develop a power plant. Rather, the tried and tested approach is that a foreign investor will obtain an MIC Permit. We would recommend any sponsor intending on developing a power plant in Myanmar to obtain an MIC Permit. The MIC Permit is granted on a case-by-case basis depending on the size of the power project. At a minimum, a sponsor should expect to wait at least six months to obtain an MIC Permit. Coincidently, the period to obtain an Endorsement is also the same, although, this was not the intent of the legislature. Tenders are issued through the MOEE, and investors and sponsors can visit the MOEE website3 for up to date information on independent power producer (IPP) tenders. Arguably, the project documents (e.g., memorandum of agreement, power purchase agreement, build-operate-transfer agreement, EPC contracts, land lease agreement (LLA), security documents, fuel supply agreement) used for the Myingyan IPP Deal should be adopted as good practice for other IPP projects in Myanmar going forward. This is critical for foreign sponsors because, before the Myingyan IPP Deal, the scale of a power deal of this magnitude had never been done before. If the energy deal is funded by way of project finance, the main challenge for foreign sponsors will be ensuring the documentation structure remains within the framework for limited recourse project financing. Sponsors need to consider in advance that foreign lenders will push hard to enhance the recourse to the sponsors and shareholders of any project company. Another hurdle will be if the financing involves syndicated contributions from multilateral development financial institutions (multilaterals). Sponsors need to be aware up front that multilaterals may show little inclination to negotiate any deviation from their standard project documentation. Stage 8: Permit to Trade (business licence) and certificate of incorporation issued. The government has been reluctant to provide sovereign guarantees in power projects to date. Perhaps as a signal of change, or given external pressures from the international business community, the government is providing contractual sovereign guarantees for the Myingyan IPP Deal (however the creditworthiness of the EPGE will remain an issue when dealing with project financing, as the sovereign guarantees on payment are merely contractual in nature without additional security in the form of bank guarantees provided by the government). For investors, the sovereign guarantee regards payment obligations only. Myanmar became a member of the Multilateral Investment Guarantee Agency (MIGA) in 2013. MIGA provides political risk insurance (guarantees) for projects in a broad range of sectors in developing member countries, covering all regions of the world. In principle, this means political risk guarantees can be provided for investments in Myanmar, which can include MIGA coverage for breach of contract by the EPGE. As a guide, MIGA may insure up to US$220 million per project, and if necessary more can often be arranged through a syndication of different insurers. Whenever a project exceeds MIGA's own capacity, MIGA reinsures itself, through a syndication process, with private and public sector insurance and reinsurance companies in order to meet the insuree's needs. Under the standard MIGA contract of guarantee for shareholder loan, the guarantee holder shall, prior to or simultaneously with payment of compensation for a loss, assign and transfer to MIGA the right to a percentage of cover of the guarantee holder's pro rata share of the Project Enterprise's rights, as applicable, in the project agreement. As a side note, there is also no specific protection in Myanmar against material adverse government action. However, under the MIL the government guarantees that a business that acquires an MIC Permit shall not be nationalised within the term of the contract or during the extended term of the contract. Basically, the government guarantees not to suspend any investment business carried out under the MIC Permit before the expiry of the permitted term without 'sufficient cause'. What constitutes 'sufficient cause' is not defined. However, the guarantee provided under the MIL is yet to be properly tested in any Myanmar courts or arbitral tribunal, and as such there is no guiding jurisprudence or commentary. The Public Debt Management Law 2016 (PDML) was passed on 5 January 2016, essentially to regulate matters relating to the 'financial liabilities' of the Myanmar government. Of possible relevance to the energy projects would be the provisions of the PDML relating to guarantees issued by the state, although the precise realm of the PDML in that respect remains somewhat unclear. The PDML provides that the Minister of Finance may issue guarantees for any person, entity or project on such terms and conditions as may be approved by the Myanmar government and the legislature. Prior to the issuance of a state guarantee and throughout the guarantee period, the Ministry of Finance shall assess the risk relating to such guarantee. If the guarantee is required to be issued in foreign currency, the Ministry shall consult with the Central Bank on the matter. However, thus far, we are yet to witness guarantees issued by the state referring to the provisions of the PDML. assignment of contracts (generally this will include the assignment of the lessor's rights under the LLA, over the location of where the power plant is situated. To comply with Myanmar property laws, foreign lenders often engage a local bank to act as an OSA to enable registration of the security interest). All of the above securities are permitted under law; however, the registration of these security interests still remains enormously challenging owing largely to complicated Myanmar property laws and foreign ownership restrictions over land as well as a void of a modern legal mechanism allowing the government to facilitate registration of security. There is no official land titles register or electronic database, making it difficult for investors to accurately determine the ownership of privately-held land plots. When locals sell land, they often do not change the name of the title deed holder. Therefore, locals rely primarily on legal contracts, which state the transfer of land ownership after a sale. This could be confusing for investors. Hence, investors need to take care in conducting a careful due diligence process on landowners. Use of an OSA is highly recommended to streamline the perfection of security process, as there are few restrictions in place regarding a Myanmar person (individual or corporate entity) taking the security interests listed herein. In terms of OSA responsibilities, it would be highly advantageous to request an annual declaration that the security interests remain perfected and the OSA is not aware of anything that would affect the security remaining perfected. a floating charge on the undertaking or property of the company. The FFC and any individual mortgage or charge over a company's assets must be registered with the company registration office within 21 days of its creation, otherwise it is void against a liquidator and other creditors of the company in a winding-up. It may be pertinent to mention that the mortgage of immovable property can only be in relation to the long-term lease of the land on which the facility is built (i.e., the right to lease the land, not the land itself). The approval of the MIC is required for companies with an MIC Permit. Usually the MIC will obtain a CBM 'no objection' as part of the scrutiny process. If the project company holds an MIC Permit, the loan can be approved under an initial MIC Permit application or at a later date. This usually applies when the terms of the loan are not agreed at the time of the MIC application. Once MIC or CBM approval is obtained with the loan payment and the repayment schedule is attached, no further approvals are required for each payment made under the loan either from the MIC or from the CBM. CBM approval is required for all foreign exchange remittances. All foreign exchange remittances made by the project company must be made through a local bank with an 'authorised dealers licence'. CBM Directives of 2012 and 2014 set out the documentary requirements that authorised local banks need to see before making any foreign exchange remittances out of the country. If in doubt, refer the matter to the CBM for approval. Myanmar law does not provide much guidance in relation to refinancing during the life of the loan facility documents. Most foreign investors channel funds to their Myanmar companies via shareholder loans. Offshore loans into Myanmar are becoming more frequent. The first large bank loans deals are being done now, but usually on a full recourse basis. Given the uncertainties regarding 'onshore security', lenders will also require overseas-based sponsors to provide 'offshore' security over their interests in the Myanmar-based project company in the usual manner, including offshore pledges of shares in the project company and an offshore (and secured) accounts structure. Investors need to account for local tax duties when costing out an IPP project in Myanmar. Stamp duty must be levied on all project documents and any security documents if third-party project financing is involved. Pursuant to the latest bill amending the Myanmar Stamp Act 1899 dated 1 August 2017, stamp duties can be excessive from 0.5 per cent to 2 per cent on the total loan facility depending on the type of agreement. Exemptions may be applied for and are permitted under law; however, there is no certainty that such exemptions will be granted. Furthermore, certain tax reliefs may potentially be available under applicable tax treaties. Myanmar has tax double taxation avoidance treaties (DTAs) in force with eight countries. These countries include India, Korea, Malaysia, Singapore, Thailand, the United Kingdom and Vietnam, with a number of other DTAs in the draft phase. The Income Tax Law (ITL) provides that a DTA must be 'notified' before it is to override provisions of the ITL. The details concerning if a DTA has been 'notified' are contained in the Myanmar Government Gazette. Accordingly, the terms of any DTA will be followed despite anything to the contrary contained in any other provisions of the ITA.4 The sponsor must follow an administrative procedure for claiming a tax exemption based on the DTA with Myanmar's Internal Revenue Department (IRD). Under Myanmar law, the application of the DTA is not automatic and is at the discretion of the governor of the IRD. [A]ll Projects undertaken by any . . . enterprise…which may cause impact on environmental quality . . . are required to undertake EIA to develop a project document to avoid, protect, mitigate and monitor adverse impacts caused by . . . operation . . . of a project. In the power sector, issues concerning air quality and greenhouse gas (GHG) emissions are prevalent. An emphasis on reducing GHG emissions is vested in local regulations addressing control measures. International guidelines providing commentary on reducing GHG emissions highly recommend the use of less carbon intensive fuels, combined heat, power plants, higher conversion efficient technology as well as high monitoring levels. Myanmar's EIA Procedure is gradually developing in the face of increasing public expectations. Health and climate change-related issues, impacts on biodiversity and sensitive habitats are among other matters of growing significance. Meetings with any Ministry, department, division, or sub-department of the government will generally take place in Nay Pyi Taw. Aside from the MIC and Directorate of Investment and Company Administration (DICA), which have offices in Yangon, the government's principal ministerial offices are located in Nay Pyi Taw. Meeting requests typically are requested in letter-form. Hard-copy originals must be sent to the relevant authority to arrange the meeting. Email communication remains uncommon in practice. From our experience, meetings should be arranged at least seven business days in advance and the meeting request letters should state a preferred day and time and be accompanied by an agenda to allow the relevant authority to coordinate representatives from the MOEE, DEP, etc. A short meeting agenda is preferable, as very frequently meetings are cut short, postponed or delayed. It is suggested, depending on the importance of the meeting, to stay overnight to afford the relevant authority more flexibility should unexpected changes occur on the initial day of the meeting. Given these limitations, it is strongly suggested to have more frequent meetings in short duration as opposed to attempting a one-day marathon session with the Union Government, as rarely is that possible, and if so it tends to be unproductive. Bringing a translator is recommended. Despite most meetings being in English, having a translator available can ensure the meeting is more efficient. We recommend that the investor engages experienced and skilled on-the-ground legal counsel (comprising a combination of Myanmar and expatriate counsel) to drive the entire project with the MOEE. One lead counsel acting for the sponsor is a must, considering the complications of power deals here in Myanmar. The process is long and requires the expertise of both skilled Myanmar and expatriate counsel to persist with the constant follow-up meetings and drafting of endless bilingual letters to the MOEE. This is an enormous task for even the most experienced emerging market lawyers. a total investment of US$650 billion is needed by 2030 to support growth potential (US$320 billion in infrastructure alone). Investors must be prepared to deal with the current challenges of poor infrastructure, in terms of transport, telecommunications and utilities supply. Improvements to the country's infrastructure will take time. It is not uncommon when visiting the offices of the government in Nay Pyi Taw for meetings to be cancelled, delayed, or postponed entirely. In addition, investors may experience long wait times from the original scheduled meeting time. As Myanmar gains speed in its reform process, many draft laws are pending consideration by Myanmar's parliament. Investors are still eagerly awaiting the actual implementation of Myanmar Companies Law 2017. Myanmar is in the process of developing its legal system and one would need to prepare for changes as legislation is being adapted. The downstream sector, inter alia, involves refining of petroleum crude oil and the treating and purifying of natural gas, marketing and distribution of petroleum products. Recently, foreign investment has been liberalised by the Myanmar government for the importation, storage and distribution of petroleum products in Myanmar. It has been a welcome move for the potential downstream investors, and will create the opening of the downstream petroleum market for foreign investors in Myanmar. The PPPL substitutes the Petroleum Act 1934, and provides clarity on aspects on import and export, transportation, storage, refinery, distribution, inspection and testing of petroleum and petroleum products. The PPPL also earmarks the authority concerned towards issuance of relevant licences. However, the implementation of the provisions of PPPL are yet to be observed. The MOEE has been in discussion with entities on construction of new refineries and revamping of the existing refineries in Myanmar. Currently Myanmar has three major refineries: Thanlyin, Chauk and Mann Thanpayarkan. With the promulgation of the recent regulations in the sector, foreign investment is possible in connection to loading, offloading and operating and maintaining of jetty facilities as well. Aside from the Indian downstream entities (mostly publicly-owned) that are dominant players in India's downstream petroleum sector, the recent legislative developments in Myanmar have opened up potential opportunities in Myanmar. Myanmar's urgent need for power after years of political isolation has been well documented. Its potential for renewable energy resources is significant. Myanmar's government has been formulating programmes towards utilisation of renewable energy resources such as wind, solar, hydro, geothermal and bioenergy for sustainable energy development in Myanmar. With various fuel sources alternatives available in Myanmar, the Indian private entities that have sophisticated technical skill-sets in the energy and power sector, can look forward to Myanmar as a potentially rewarding market. India also benefits from its own geographical location – an advantage, as it can easily cater to Myanmar's energy requirements in the energy and power sectors. Driven by the One Belt, One Road initiative, first introduced to the international community in September 2013, Myanmar has witnessed a massive inflow of Chinese investment into the country. China, like India, shares the advantage of bordering Myanmar, making it strategically well placed to support and benefit from Myanmar's fast-growing energy sector. There is a combination of Chinese state-owned enterprises (SOEs) and private Chinese investors developing Myanmar's energy sector. The majority of inbound Chinese investment into Myanmar's energy sector is largely led by Chinese SOEs. According to Myanmar official statistics released by the DICA, China is ranked as the number 1 foreign investor in Myanmar, boasting investment volume of (26 per cent) of Myanmar's foreign investment value. The latest DICA statistics reveal that up to February 2018, the overall foreign direct investments in Myanmar's oil and gas sector from China hit US$22 billion, followed by the power sector in second place with Chinese investments totalling over US$21 billion. One of the key landmark projects in Myanmar is the China-Myanmar oil and gas pipeline, linking Myanmar's deep-water port of Kyaukphyu (Sittwe) in the Bay of Bengal with Kunming in Yunnan province of China. This project was completed in 2014. Three Chinese SOEs (China Electric Power Equipment and Technology Company Ltd, China Southern Power Grid Company Ltd (CSG), CSG's subsidiary Yunnan International Company Ltd) have proposed separate plans to plug Myanmar's national power grid into Yunnan's electricity network. Daw Aung San Suu Kyi met with Chinese President Xi Jinping in May 2017 to discuss, among other things, Myanmar's energy sector and developing closer ties. Our understanding, based on information released by the MOEE, is that initial talks have taken place but there has not been any further developments on point. The Chinese and Myanmar diplomatic meetings are the most encouraging cooperation to date since the suspension of the Chinese-backed Myitsone dam back in 2011. We envisage China to be the leaders in the development of Myanmar's energy sector. Myanmar has abundant energy resources – hydropower and natural gas in particular. Owing to underdeveloped legislation and lack of financial and technical capacity, the energy sector of the country is still underdeveloped. However, with the government's commitment to reform, foreign investment will have more access to this sector with simplified formalities. The recent regulatory and policies changes in foreign investment are indicative of the fact that the government is making greater effort to create a more transparent atmosphere to attract foreign capital and technology. We look forward to a remarkable uptick in the energy sector in the near future. 1 Krishna Ramachandra is the managing director, Rory Lang is a senior associate and Bei Wang is an associate at Duane Morris & Selvam LLP. 2 On 6 December 2017, Myanmar's former President U. Htin Kyaw approved the new Myanmar Companies Law 2017 (MCL), replacing the country's century-old Companies Act 1914. However, the implementation of the MCL is only expected to become effective on 1 August 2018. 4 The Income Tax Law provides if the Government of the Republic of the Union of Myanmar enters into an agreement with any foreign state or international organisation relating to income tax, and if the agreement is notified, the terms of the said agreement will be followed despite anything to the contrary contained in any other provisions of the Income Tax Law.